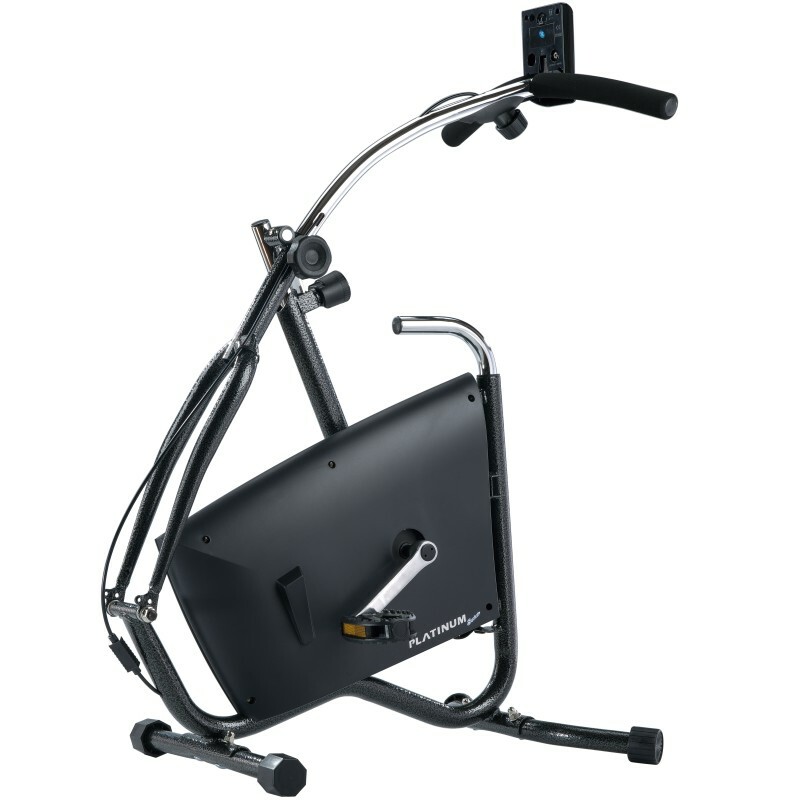 Dual Action Trainer, SPR-TNG760 - Pro-Supra International Corp.
the wheel chair is included as well. handle bar, dual action trainer. operates with a gas cylinder. it takes only a small space at home. people who is under the rehabilitation treatment. automatically because of the gas spring. cycling for the low body workout. with high sprocket ratio that makes a very smooth cycling movement. > Driven by the belt, soundless. 2. Resistance: Adjustable tension strap with the control knob. 3. Handlebar height is adjustable. 4. Extra large frame base insure the stability of this machine. SPEED; TIMER; DISTANCE; CALORIE BURN and SCAN. CE approval.